Hi there! I took a little break, but now I'm back! My inspirational level went pretty low this week so I couldn't make any good manicures and all the pictures I captured were really bad. Anyway! Today it's a special day, it's United In Green (hosted by Karin at Vacker & Underbar) which is a theme week to raise awareness about depression. You might not know this but October is not only pink, it's also green for depression. Today is the last day of the week and Karin collaborated with Lela at Lelack for Nail Art Sunday, so they decided that the theme would be Love! 'Cause you know, love is amazing. 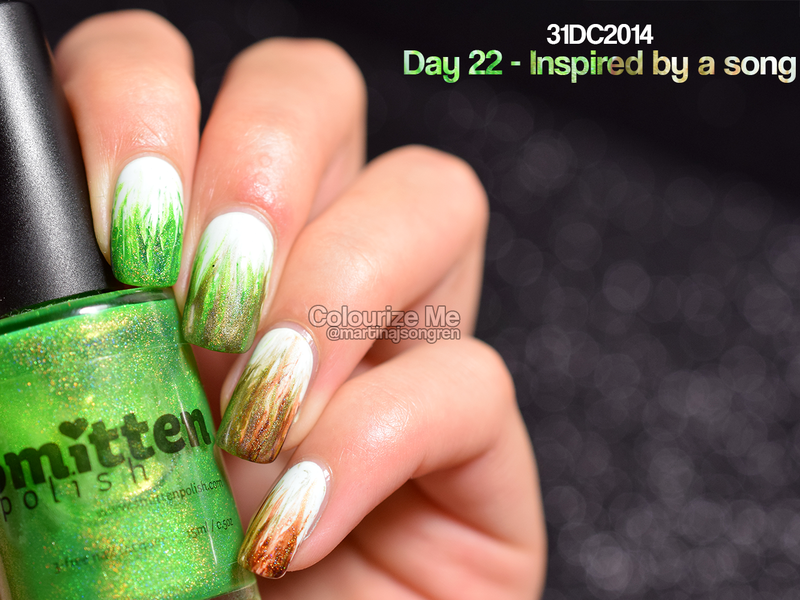 Not only is it Nail Art Sunday and United in Green, it's also day 22 and that means that I also need to be inspired by a song. Well that's a lot of things to include in one manicure, but I gave it a try and this is the result! So, as I said, I had a lot of things to include in one manicure and that was reeeeaally hard. I decided to be inspired by a song that I love from a band that was introduced to me by someone I used to love. The song is The Greener Grass by Fair To Midland. It's amazing. 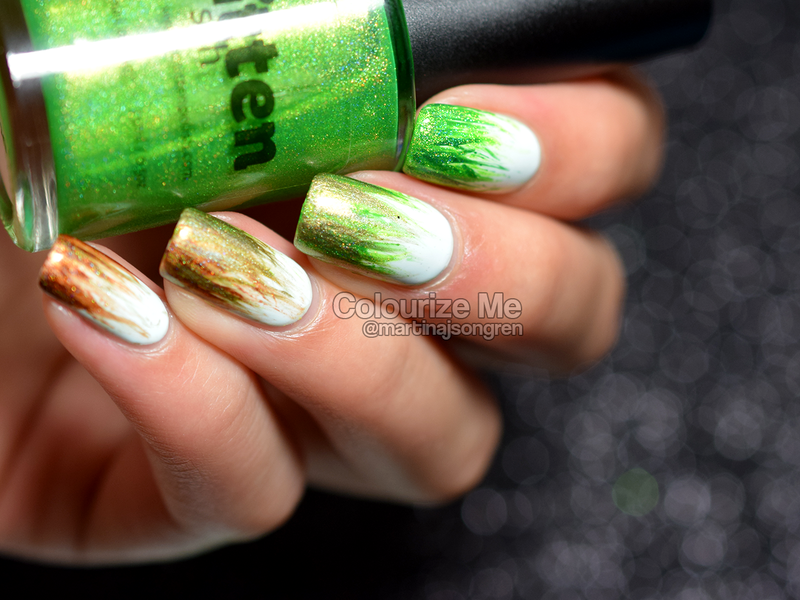 So I made grass on my nails. You know, the greener grass represents life without depression and the brown grass, the withered grass represents depression. I really like this manicure! I used China Glaze New Birth as a base. It's a beautiful really pale blue creme from the Giver collection. The green to brown polishes are the following: China Glaze Holly-Day, Smitten Polish Electric Lime, China Glaze OMG A UFO, NYC Backstage Brown and finally Smitten Polish Seasonal Lattes. Remember to share some love and hopefully we might fight a little bit of depression at the same time. I love you all! Byyyyyeee! 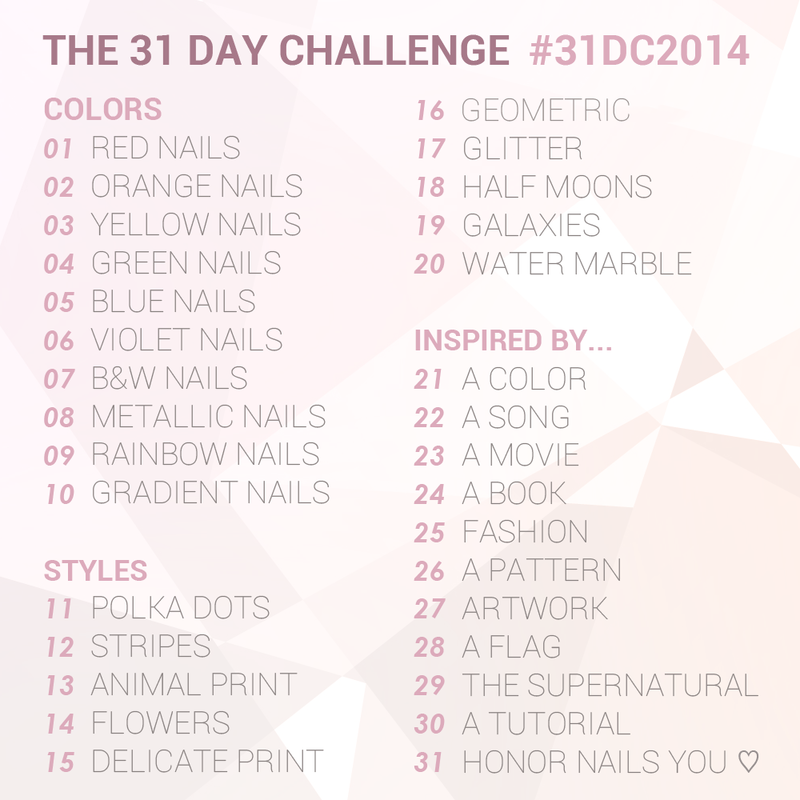 Check out day 22 from last years challenge, click click! Sjukt vackert! Älskar denna manikyren.